Full zip cotton sweatshirt with lateral pockets. COMPOSITION: 100% polished cotton (internal brushed) 310 g/m². CHARACTERISTICS: Sweatshirt in soft polished cotton with cuffs and bottom ribs. 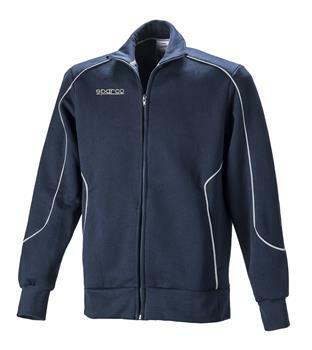 It is possible to personalize this item with colours, printings and embroideries (Sparco guideline).